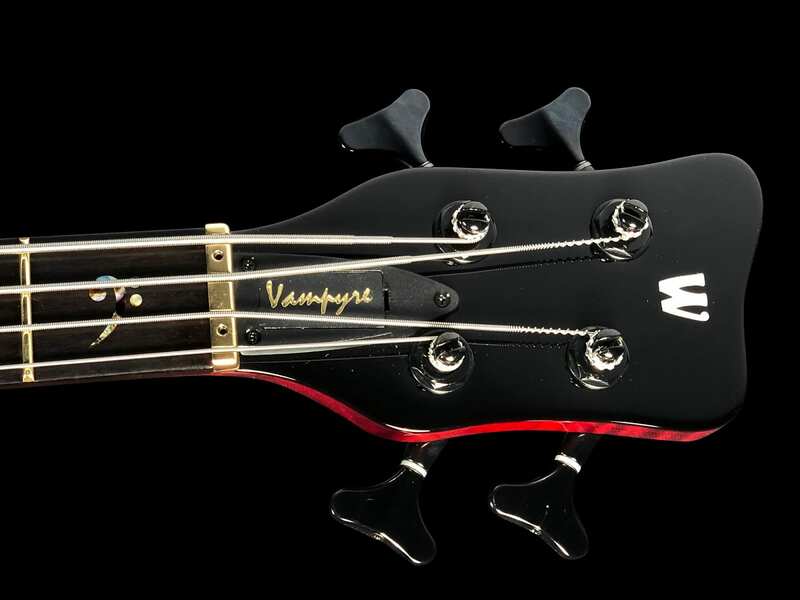 You are looking at a 2014 Warwick Vampyre Custom Shop Masterbuilt 4?string bass, with a Burgundy Red gloss finish, flamed maple neck-thru, Ebony fretboard and bass clef fret inlays! 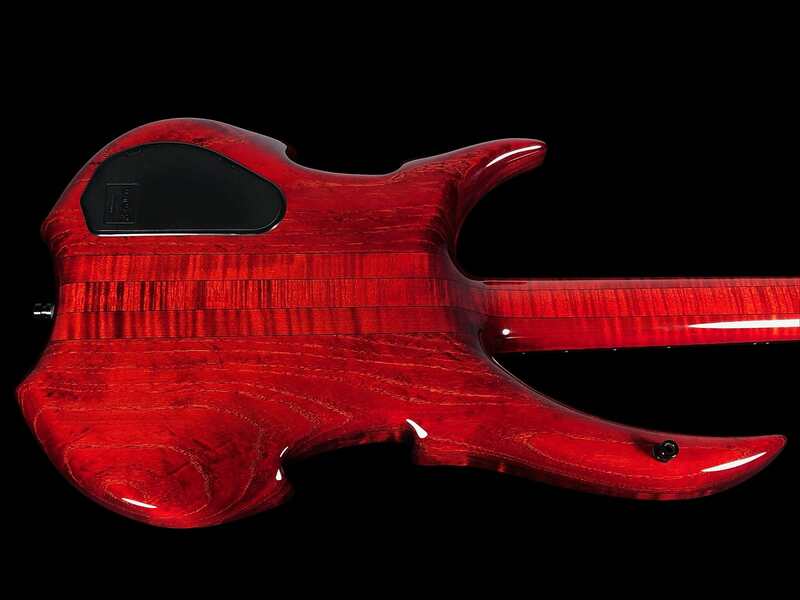 I?ve had alot of amazing instruments come through my shop over the years, but this one is just ?wow!" Incredible attention to detail, and the high level masterbuilt artistry is very evident here. 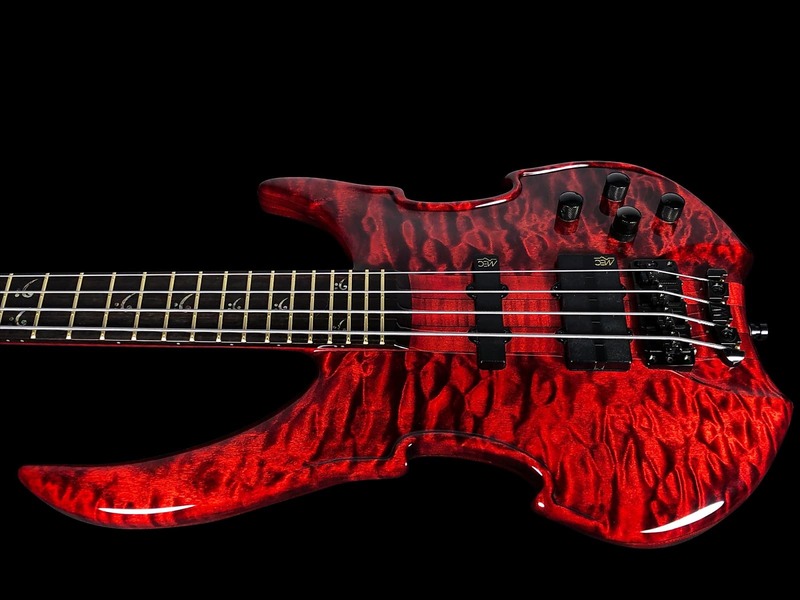 Just an awesome bass all the way. 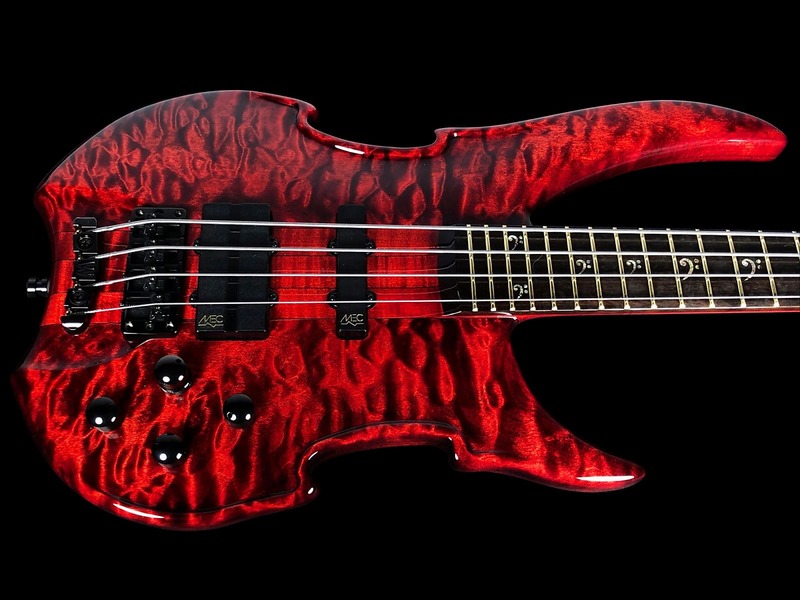 Although this is a 2014 build, the bass has never been owned. It is a new/old stock piece that just shipped from Warwick to me last week. 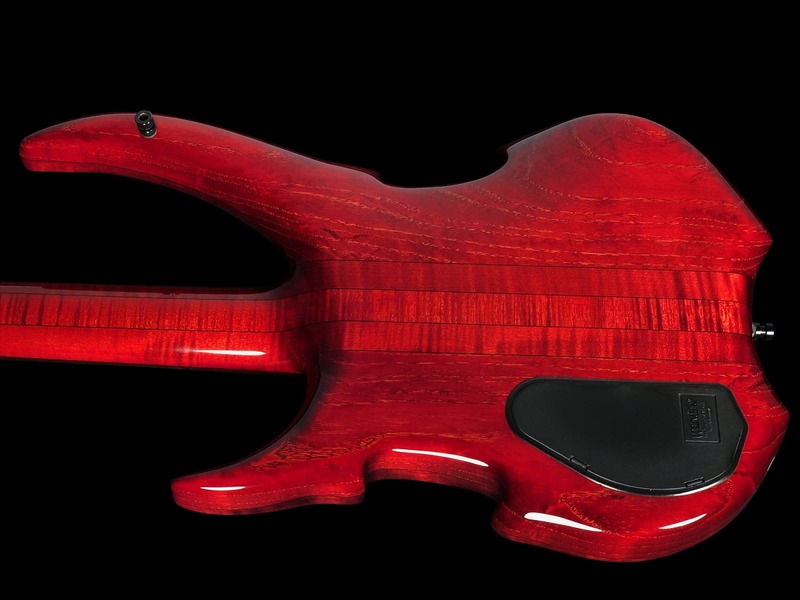 Since G-Brat?s Guitars is an authorized dealer for Warwick, this is coming to you with the full Warwick warranty. She's 100% original, and ready to rock! 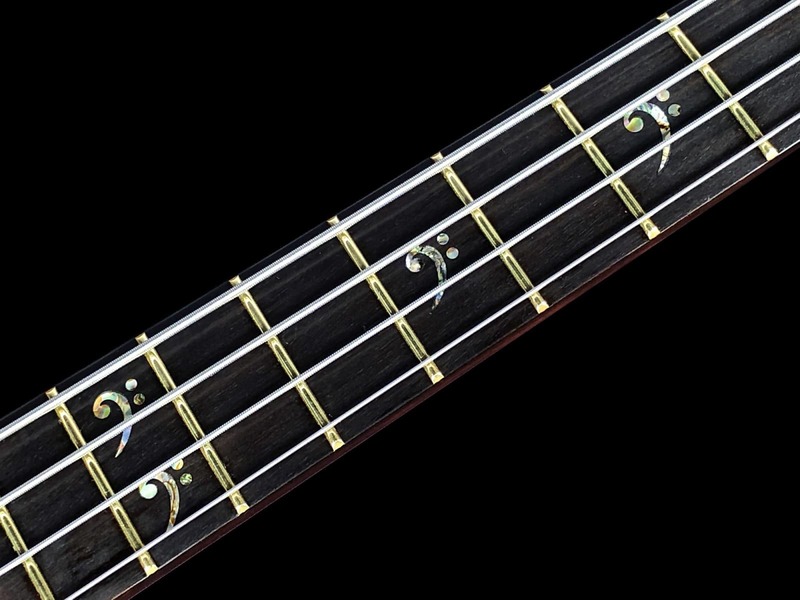 Fretboard Width: Nut 1.5?, 12th fret 2.1?, 24th fret 2.4? She was born in 2014, but is a ?new/old stock? piece that just shipped from Warwick to my shop in December of 2018. 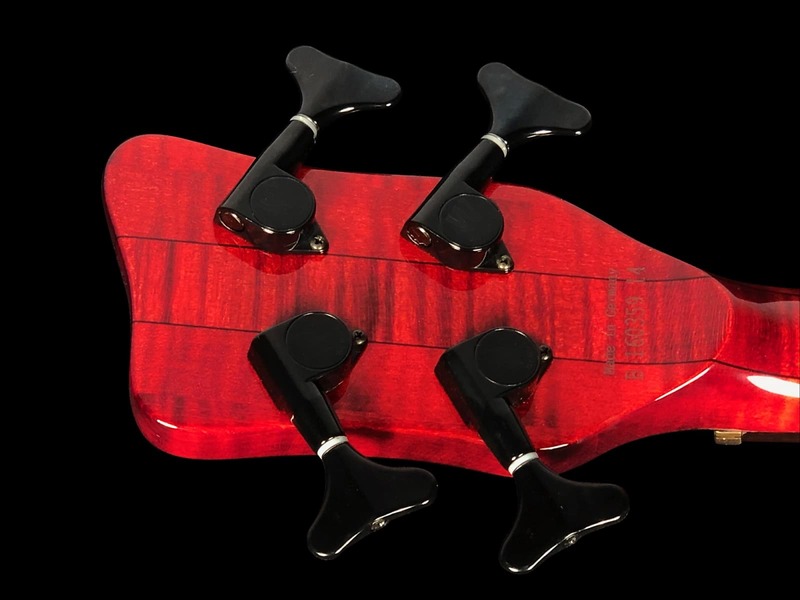 The bass is in flawless condition with?absolutely no wear and no issues. 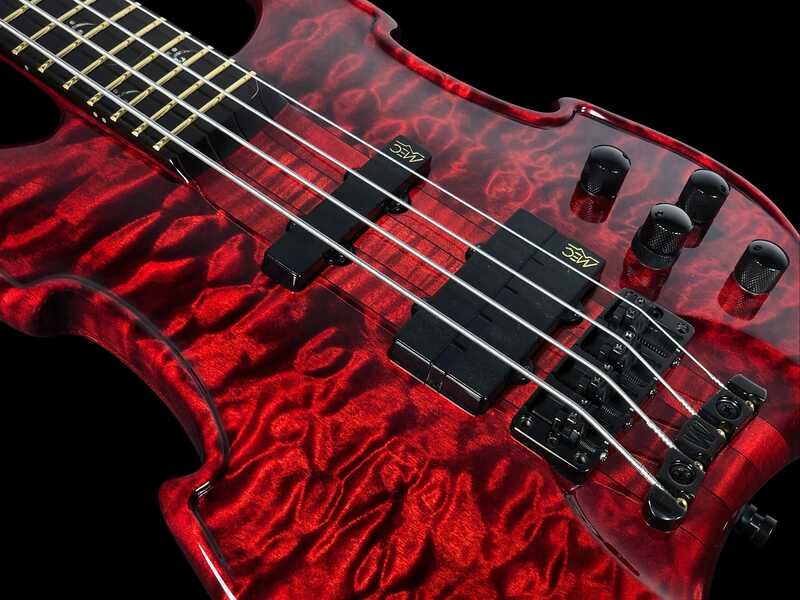 This does come with the Warwick warranty, so that?s a nice bonus for the proud new owner of this amazing bass. 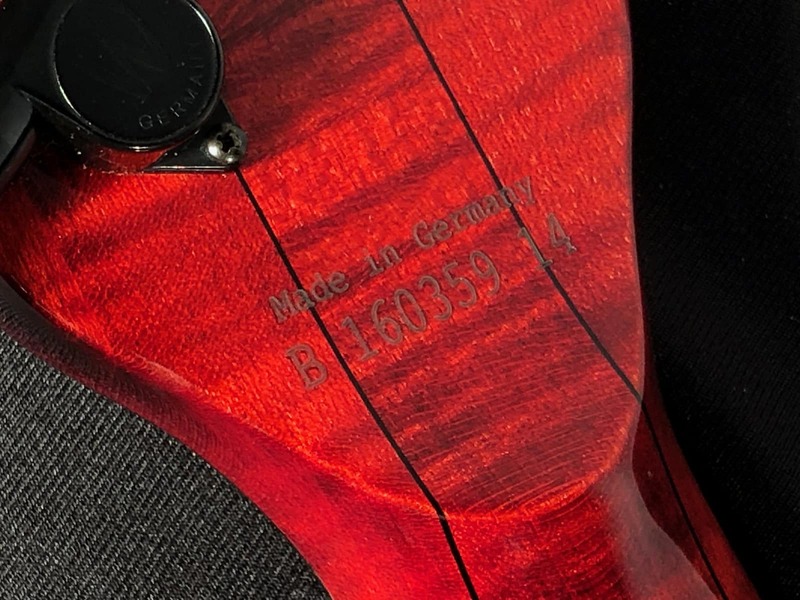 ?The neck is straight, with no cracks or repairs? the frets are perfect, with their entire life ahead of them? 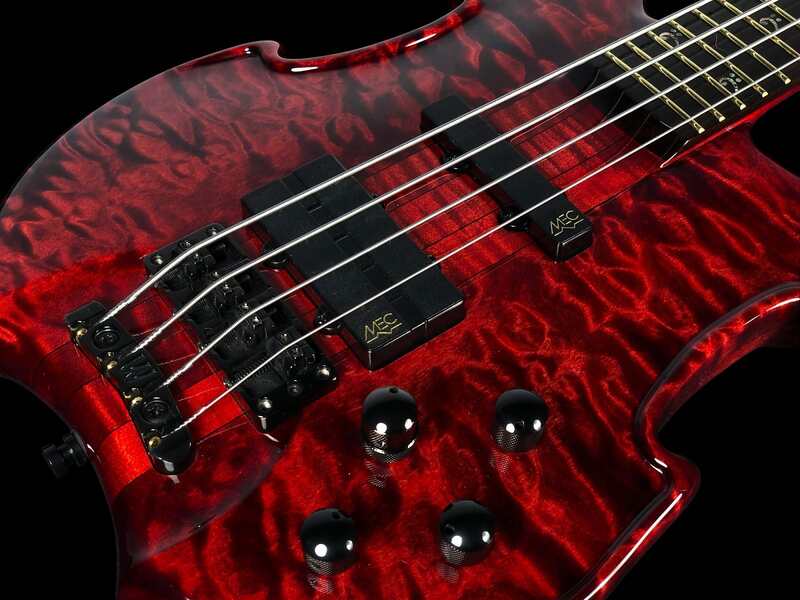 and ?and the sound is as sweet as it gets! 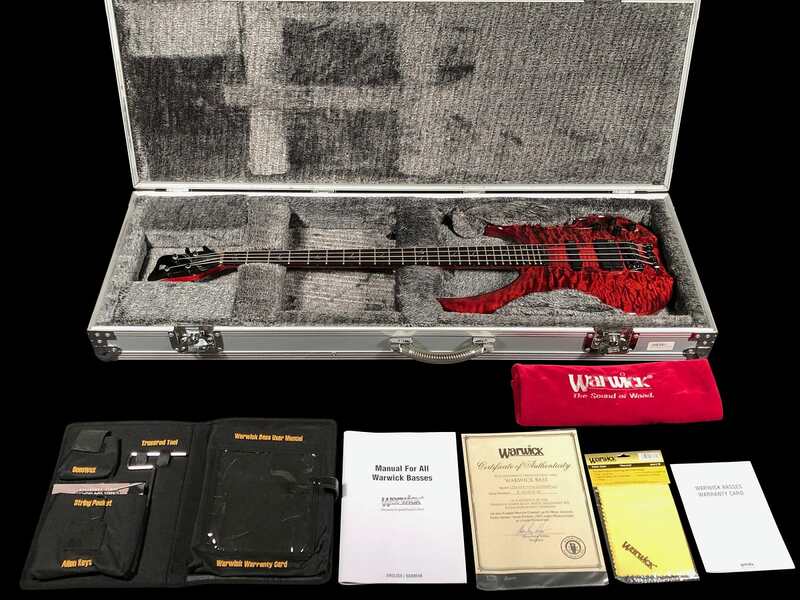 Also included is the original and very nice Warwick heavy duty road case, Warwick user kit, tool kit, warranty card, and the certificate, just as shown in the last picture! 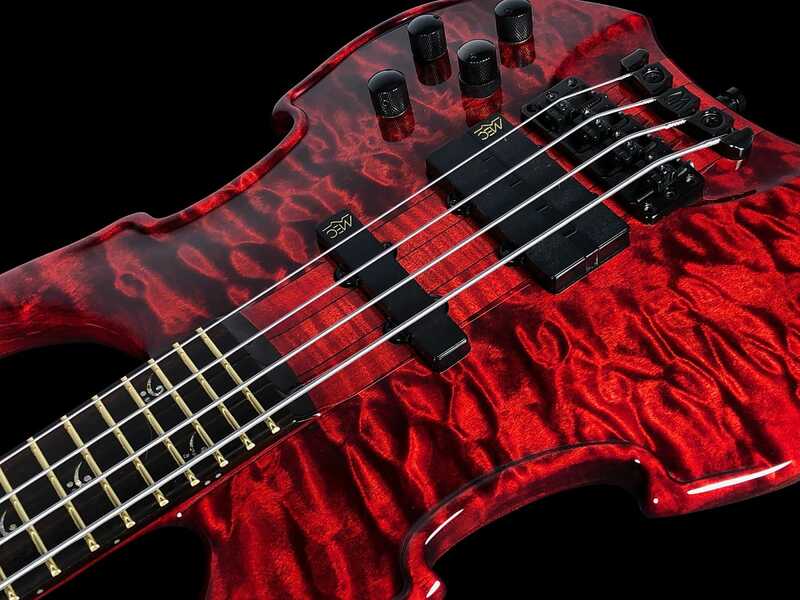 Please note: The are scratches on the lid of the road case, however Warwick has agreed to send a brand new road case to the buyer of this bass? So you will be taken care of on this! Whoever brings this baby home is going to be completely STOKED!! Me-?I have a 100% positive feedback rating, and intend to keep it that way! So please don't worry! You're in good hands here!! All Other Worldwide Shipping - $249 - UPS Worldwide Expedited (in most cases); However, if UPS is more costly in certain countries, USPS will then be used instead. Payment Methods-?Pay Pal is preferred!! We do also accept direct payment with Mastercard, Visa, American Express and even Discover! Based on purchase price of $5,600 at 10% APR for 12 months. Excludes tax and shipping fees, to be calculated at checkout. Rates range from 10-30% APR. Choose from 3, 6, or 12 monthly payments. Select Affirm at checkout to get started.